No question. You need a sitemap. Seriously. If your website has more than a handful of pages, you should have one. Wait—let me rephrase, you NEED ONE. Oh, and don’t get this graphical sitemap confused with the xml sitemap, which is a file of xml code you keep on your website in order to keep the big ‘G’ (Google) happy. That type of sitemap is a whole other ball of wax. As briefly touched upon in the previous posted “The 6 Stages of Web Design,” a sitemap is a diagram that outlines the hierarchy of pages within a website. Sitemaps, for our purposes, are a planning tool used to map out the structure, navigation and page hierarchy of your website. Homepage – This page is usually shown at the top of a sitemap. However, depending on the structure of the website, the “homepage” may be depicted as part of the primary navigation. Primary navigation – Also referred to as “parent pages,” these make up the main navigation of your website. These pages are at the topmost level of your site. Secondary navigation – Also referred to as “child pages” or “secondary pages,” these items are most often seen in a dropdown. They are one level deeper than the primary navigation. Tertiary pages – These pages are located one level deeper than the secondary navigation. Often these pages will not be visible in the site’s navigation. An example of this type of page would be product pages on an e-commerce website. These pages are not in the main navigation but can typically be accessed through a category page that is included in the primary or secondary navigation. Call-to-action items – Usually highlighted separately, they often take the form of a button you click to complete an action or access a form. Examples of this type of content include a donation button or a shopping cart. Usually these items are located in or near the main navigation of the website. Special file types – Interactive or downloadable elements such as forms, downloadable PDFs and documents may be identified in the sitemap. External links – Important links to external websites that are likely to be included in the header or footer of the website such as social media channels and affiliate or partner websites should be included in the sitemap. Your website may have many more types of pages and content than in this example. Or, your website may have fewer pages but may include more complex actions. This is all normal. Sitemaps are infinitely adaptable and always unique. So, Why Do We Sitemap? As your website becomes more complex the shear amount of information involved can become daunting. Keeping track of what goes where becomes even more challenging as your team expands from just one into a whole group of designers, developers, SEO specialists, managers, etc. How do you keep track of what page is what? How do you stop repeat content from happening? How do you plan it all? What is the answer! Help! I need somebody! Help, not just anybody!…and so the song goes. That is where sitemapping, like a superhero in a red cape of awesome, comes to the rescue. The sitemap organizes the chaos, creating a plan that your team can follow even if they’re in a different building or across the country. Sitemaps keep the monster of confusion at bay and—trust me—in the long run, make your users happy too. 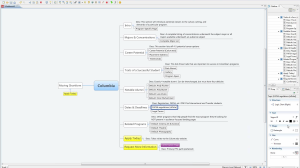 XMind is a tool often used in sitemapping. The actual physical tools used in sitemapping are pretty basic. Commonly a flowchart or mind mapping software such as XMind will be used, but in a pinch even PowerPoint can be used to create a sitemap. However, the most powerful tool is the right person for the task. 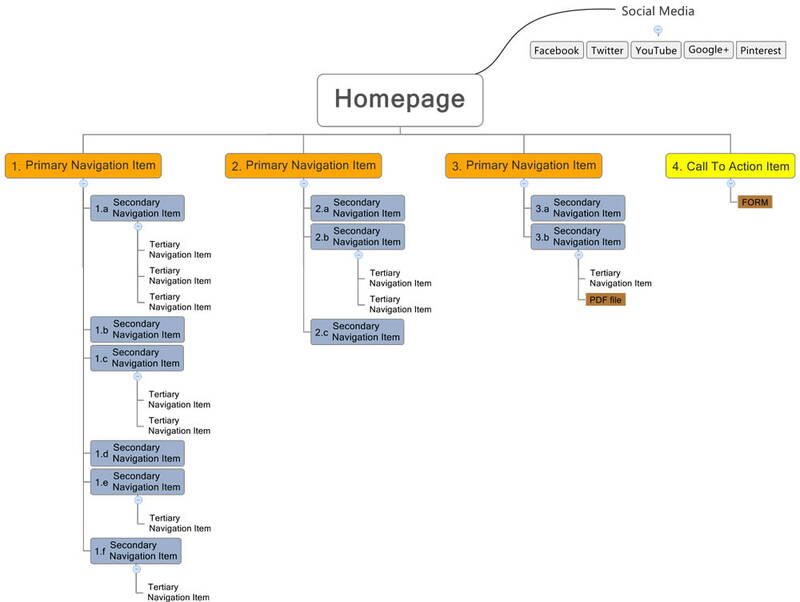 Good sitemaps take a lot of work and a certain level of expertise. Yes, you need an expert in the world of web design and user interaction design in order to build a truly awesome sitemap with the user experience at its core. 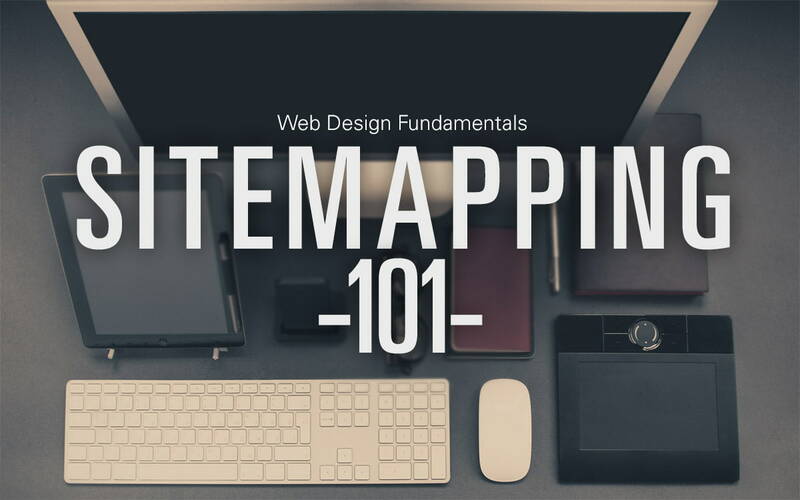 Sitemaps are a powerful tool in web design. A good one has the power to cut down chaos in its menacing steps and build a foundation of organization that delivers quality user experiences on your website. Here’s what’s never a good idea when it comes to the organization of your website: winging it.